Toddler Time at Launch in Norwood is a great experience for kids 5 and under. Our energetic staff will lead the kids in fun trampoline games, a few rounds of trampoline dodgeball, and even have some free time for open jump fun. Join Joey the Kangaroo and Friends every week for a fantastic time! Only $10/child and 1 accompanying parent or guardian gets to jump in on the fun…for free! Any additional children under 5 or accompanying adults are $10 each. 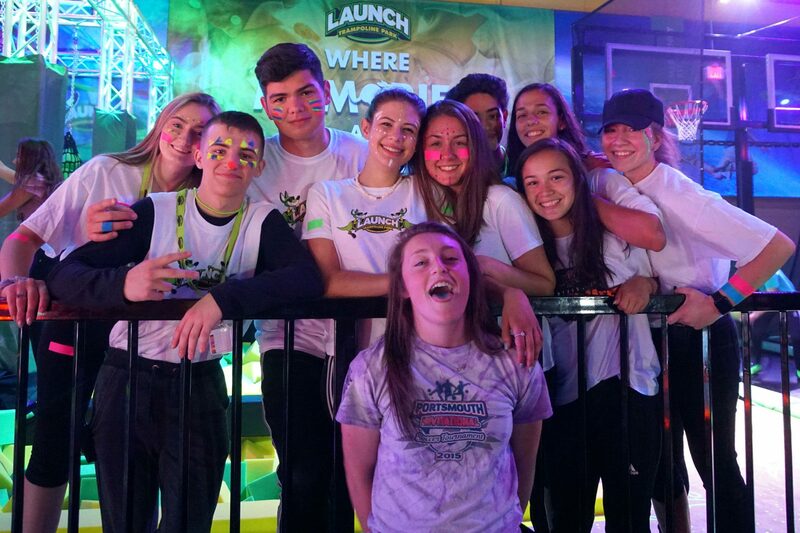 Whether you world-school, home-school, unschooled or life-school, bring your kids to bounce off the walls and socialize with other children their age at Launch in Norwood. Network with other homeschooling families and groups while having a blast and getting some exercise! Everyone has fun, gets a fantastic workout, and builds great bonds.